Vitamin B11 (Pteryl-hepta-glutamic acid) is a form of Vitamin B9 (Folic acid), one of five folates necessary for humans, and now known as ‘chick growth factor’. Little is currently known about vitamin B11. It is known, however, as a factor S and has similar properties to Vitamin B10 (PABA). Because of this, it was determined that vitamin B11 is, in fact, a mixture of substances. 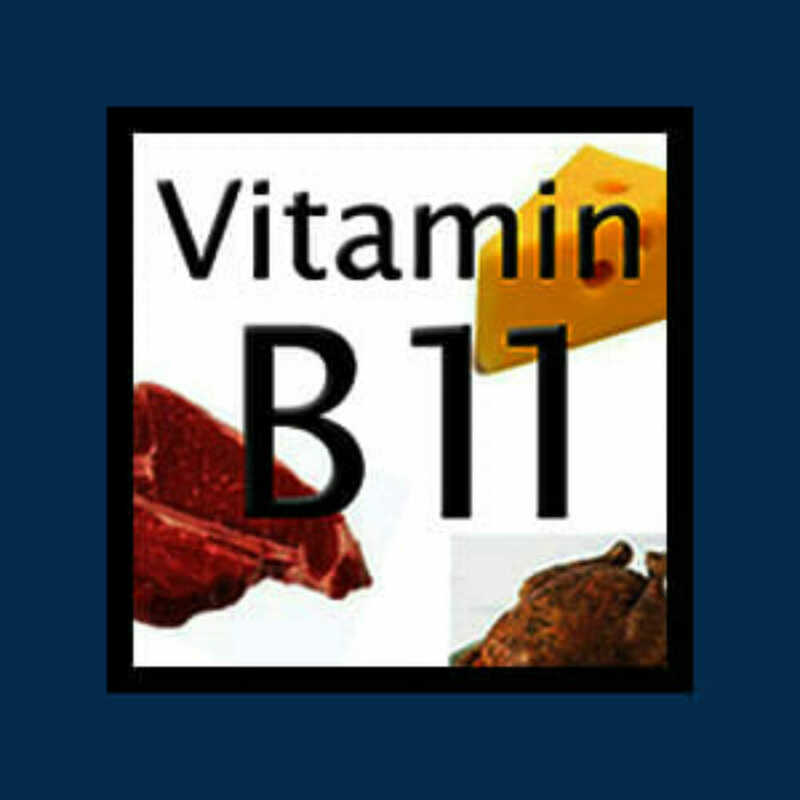 Why do you need Vitamin B11? Conditions thought to be related to Vitamin B11 Deficiency? Not available for supplementation but Vitamin B11 is found in organ meats (liver, heart, and kidney) red meat, poultry, fish, milk, cheese, and eggs.